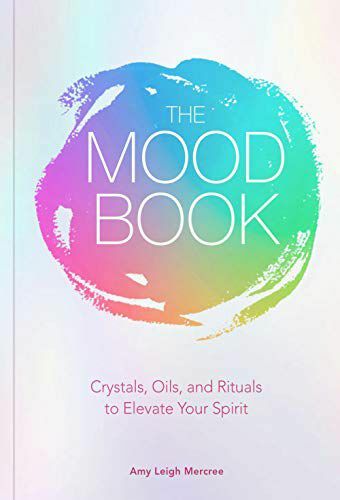 Manage your moods and change negatives into positives with this ritual-based guide to essential oils, meditations, mantras, crystal healing, and more. How are you feeling? The Mood Book wants to know! Organized into easy-to-follow sections based on your frame of mind, it contains powerful self-care treatments for elevating your spirits. Inside, you’ll uncover suggestions for anxiety-relieving baths, essential oils, and crystals; guided meditations to find your Zen; physical exercises to boost your confidence; aromatherapy to enhance romance, and flowers for healing. Sequenced around five different moods, this delightfully illustrated book also includes quizzes and advice on optimizing your life and environment. With winter finally out of the picture, and spring officially here, we can all turn our thoughts towards going outside without fear of, say, being run over by a dog sled or mauled by a yeti. And, if we are venturing outside anyways, why not head out prepared with a Falcon Guide? To be clear, I am not talking about a guide that happens to be a falcon, though that would be cool, but rather an outdoor instructional book from, the publishing house FalconGuides. FalconGuides has manuals for almost every outdoor enthusiast’s favourite pastime. Do you like slack lining? There’s a guide for that! How about fishing? There’s a guide for that! Kayaking? You guessed it, there’s a guide for that too! Each one of these handbooks is filled with full-colour illustrations that make picking up any new outdoor hobby as simple as possible. Trust me, one of these books will provide you with the expertise needed for your chosen activity in what will seem like no time at all! Also, some of these guide are location specific; not only can you become an expert on camping, but you can become an expert on camping in Washington, Pennsylvania, or a host of other locations. And when it comes time to make dinner on one of your camping trips you’ll be fully equipped with a copy of FalconGuides’ Cooking the One Burner Way at your finger tips. And after your delicious meal, you and your friends can work off the lethargy by taking a hike. During which you can wow your companions (or put them to sleep) with your knowledge of the local trees. The fact that you got all of your info from Trees: A Falcon Guide can be our little secret! Of course, if your camping buddies are less than enthralled by you explaining the intricate differences between a Balsam Fir and a Fraser Fir, you can always win back their love with a few spooky stories courtesy of Haunted Trail Tales, once again from FalconGuides. So the next time you are planning an outdoor expedition, whether it’s a day trip or a week long camping excursion, let FalconGuides help you along the way. You won’t be disappointed! Toronto Star "Spectacular Wineries of Ontario is a fabulous visual voyage through Ontario's wineries." One of our favourite activities during the summer is to spend leisurely days touring wineries. Typically, we wake up early to devour a big breakfast of wild blackberry pancakes, scrambled eggs and black coffee and then jump into our cars (the designated driver pulls the short straw) and cruise down mostly abandoned county roads to vineyards tucked away into the landscape. It’s hard to beat a day of sipping wine, while strolling through vineyards and soaking in the warm summer rays. This year we’ll be exploring Ontario wineries and IPG’s, Spectacular Wineries of Ontario, is the perfect companion book to bring on our weekend trips to Lake Erie North Shore, Niagara Peninsula, Pelee Island, and Prince Edward County. A guided visual tour through some of Canada’s best vineyards, this book is filled with beautiful, colour photographs and detailed commentary on more than 60 fabulous wineries and vineyards. Written by Panache Partners, LLC, which is a publishing company that specializes in lustrous coffee-table books, and Toronto author John Szabo, who is the first Canadian qualified at the Master level by the Court of Master Sommeliers, Spectacular Wineries of Ontario is a beautiful, informative guide book for locals, tourists, wine lovers, and wine newcomers. World Book Day... only in Great Britain? Why is it World Book Day in the UK today when UNESCO World Book & Copyright Day isn't until next month? Who knows? Who can explain Great Britain, after all? But being loyal commonwealth citizens - and being unrepentant bibliophiles to boot - we figured it was a perfect opportunity to highlight some of our favourite new releases from the Mother Country. Where better to start, from the land of tabloids, than with Penny Vincenzi's latest The Decision (Headline, 9780755320905). Multiple best-selling author Vincenzi takes us back to the 1960s, and introduces us to two up-and-coming professionals - she in the fashion industry, he in real estate. What starts out so well soon turns sour and the couple end up fighting through a horrible divorce and a terrible custody battle. Will anyone be the victor when neither will give ground? And, from the author of The Stoneheart Trilogy, comes a story for every young book-lover, Far Rockaway (Hodder, 9780340997338). After a terrible accident, Cat is whisked away from her New York City home to a land where her grandfather's books come to life. Populated by characters she (and you!) will recognize, Cat begins an epic adventure with strange, new friends to find The Castle at the World's End - Far Rockaway! Being a history geek, I'm happy to be able to recommend Destroyer of Cities (Orion, 9781409117124) by Christian Cameron. It's the fifth book in the Tyrant series by one of my favourite Canadian authors. As a historian and a former soldier himself, Cameron gets the details right in his stories of how the world fractured after Alexander the Great's death. Using history as his guide, Cameron takes you through the battles and intrigues to gain riches, power and glory that still reverberate today. And finally, and not least by any means on World Book Day UK, the story of Highclere Castle, the setting of UK and Canadian TV hit Downton Abbey. Lady Almina and the Real Downton Abbey (Hodder, 9781444730845) is written by Lady Fiona, the current chatelaine of Highclere Castle and the latest Countess Carnarvon. Lady Fiona describes the history of Highclere castle, with special attention to the 5th Countess of Carnarvon, Lady Almina, through the trials of World War 1. Well, that's it. We hope you enjoyed this sampling of some of Britain's latest and best. Maybe today would be a good day to read one of these books, in support of UK World Books Day. Pharos Editions brings back the old... with the new! Pharos Editions, a new imprint from literary fiction publisher Dark Coast Press, is an idea that's been a long time coming. Venerable book-rep Harry Kirchner, now retired and taking on the role of Editor for Pharos Editions, had the idea long ago to ask contemporary media literati what books were important to them in some way, and to introduce them in a Foreword to their selection. With the addition of stylish but simple cover designs and high-quality papers, Harry hopes to expose a new generation of readers to "...overlooked gems, " as he puts it. The first set of titles, which will release in May, will include selections by bestselling author Jonathan Evison, American Book Award winner Sherman Alexie, Edgar Award recipient Jess Walter and The Simpsons creator Matt Groening. Groening's selection, You Play the Black and the Red Comes Up by Eric Knight (ISBN 9780988172500), was a bestselling noir fiction when it was first published in 1938. It's the first on my Pharos Editions reading list, to be followed in short order by the other three initial releases. What will your first Pharos Edition book be? It isn't every day you get to be on board for the launch of a publisher's very first season, especially not one made up of people brimming with such enthusiasm, experience, and vision. To say that we are excited about Page Street Publishing here at Manda would be an understatement, and when you see the books on offer this upcoming season you'll immediately understand why. The logo for Page Street Publishing is an old printing press block belonging to the publisher Will Kiester's father, and it is the perfect symbol for a company that is devoted to the fading tradition of bookmaking as an art form. The books are exceptional; the aesthetic is clean, crisp, and vibrant - crafted with attention to detail that is characteristic of true quality. The lifestyle authors are incredible at what they do whether it's cooking, baking, or taking care of chickens. Will Kiester is keeping it current, making books that are inspirational, affordable, beautiful, and useful. And this is just the first list for their very first season! I can't wait to see what they have for us next. Here are a few examples of this season's upcoming titles to keep you satiated. Simply delicious! Baking by Hand by Andy and Jackie King contains baking techniques and 100 recipes on how to make everything from sourdough to Rhubarb Ginger treats. It's also from world class professional bakers who own their own artisan bakery. Tina Ruggiero knows what it's like to be sick of the next diet craze and to crave a nutritional guide to healthy family-friendly food. The Truly Healthy Family Cookbook has more than 150 recipes from the Gourmet Nutritionist who is the health correspondent for NBC, Daytime and Fox! You will LOVE Natalie Slater and her quirky, rockabilly-inspired recipes from the kid friendly Crouching Cornbread, Hidden Broccoli to the delicious Burger Time Whoopie Pie. Hilarious, one-of-a-kind, and so yummy describes Bake and Destroy perfectly. Guinness World Record broken by ... The Bachelor Sean Lowe!? I'm guessing there were a few battles waging last night in Toronto over the remote control. Regardless of how the score fell in your household, the Leafs game versus The Bachelor outcome probably produced the same results: some questionable calls, a bit of dirty fighting, and quite a few broken hearts. If you're anything like me, tuning in to watch Sean Lowe court 20 girls in an epic Hunger-Games-style mêlée to the dating death is both an embarrassing guilty pleasure you try to hide and the most fun you've had watching television ever; observing a woman try to impress Sean with a flip only to fall flat on her face, watching the Leafs loose 2:1 to the Sabres, and observing a multiple car collision all seem to have a similar - can't look away-macabre fascination. Regardless, this is one admission I will probably never live down at work but that has actually come in handy for it! That's right folks, Sean Lowe and Lesley Murphy broke the world record for longest onscreen kiss, and I bet my bottom dollar that they will have their own spread in The Guinness Book of World Records 2014! But until then, you can get your world record fix in the new Guinness Book of World Records 2013. Though I'd like to say that the kiss happened organically because they had so much chemistry that they simply couldn't disengage for over 3 minutes and 15 seconds, the record breaking smooch was actually staged on a date to The Guinness Book of World Records museum in New York. Following in the footsteps of his father who currently holds the world record for longest road trip taken in the shortest amount of time, Sean can now take his place as the number one kiss-and-tell-Fabio the world over!